Whether the levy of penalty imposed by the Competition Commission of India (CCI) for non-filing of undertakings to cease and desist from anti-competitive conduct, within the time period as directed by CCI is arbitrary and/or unreasonable. Petitioner had filed the writ petition inter alia seeking quashing of a common order dated 06.08.2014 passed by CCI in Ref. Case No. 1/2012 whereby CCI imposed a penalty of a sum of Rs. 5000/- per day on each of the petitioners. The said penalties were imposed under Section 42 of the Competition Act, 2002 for failure on part of the petitioners to comply with the direction to file an undertaking to cease and desist from anti-competitive conduct in future, as ordered by CCI in its order of 06.08.2013 passed under section 27 of the Act. The Directorate General of Supplies & Disposals (DGS&D) issued parallel Rate Contract tenders. The petitioners also participated in the tender. DGS&D noticed that the difference in the prices quoted by different bidders was in a very narrow range and all the bidders, barring one, had restricted the quantity to be supplied by it during the Rate Contract period. This led DGS&D to file a reference before CCI under Section 19(l)(b) of the Act, against all the bidders, inter alia, alleging bid rigging and market allocation. It was alleged that the participation in the tender was pre-determined, collusive and the bidding pattern was restrictive, indicating formation of a cartel by the bidders in violation to the provisions of the Act. CCI recorded a prima facie opinion, under Section 26(1) of the Act, that a case of contravention of the provisions of the Act was made out and referred the matter to Director General (DG) to conduct an investigation and submit its report. DG submitted its report to CCI. Thereafter, on 06.08.2013, CCI passed an order under Section 27 of the Act, inter alia, directing the bidders to cease and desist from anticompetitive conduct in future and also file an undertaking to that effect within a period of 30 days from the date of receipt of the order. The petitioners and others bidders filed appeals against CCI’s order under Section 53B of the Act before the Competition Appellate Tribunal. By a common order dated 22.04.2014, COMPAT allowed the interim applications by directing the appellants (other than RSI), to deposit 5% of the penalty imposed by CCI. In the case of RSI, COMPAT granted a complete stay of penalty. However, CCI’s direction to cease and desist from anti-competitive conduct was not interfered with. CCI, thereafter, issued show cause notices under Section 42 of the Act read with Regulation 48 of the Competition Commission of India (General) Regualtion, 2009, to the petitioners who had failed to file the undertakings to cease and desist from anti-competitive conduct. After receipt of the notices, the petitioners filed the requsite undertakings. By the impugned order, CCI observed that the petitioners had failed to file the undertakings as directed because Rajkumar Dyeing and RSI were required to file their respective undertakings on 20.09.2013 and 15.09.2013 and the same were filed on 20.06.2014 and 24.06.2014 respectively. In the circumstances, CCI passed the impugned order imposing penalty for non-compliance of its order. Counsel for the petitioners submitted that the non-filing of the undertaking within the prescribed time was neither intentional nor deliberate and there were ‘reasonable causes’ which CCI failed to examine and consider. Therefore, CCI had acted de hors its powers under Section 42 of the Act in passing the impugned order. In the alternative, the penalty of Rs. 5,000/- per day was grossly disproportionate in facts and circumstances of the case as CCI failed to take into account various factors that were relevant for determining the quantum of penalty. CCI failed to take into account that the petitioners are small scale industries and had not willfully acted in defiance of CCI’s order. That the notices were defective and invalid as the period for which the purported penalty was sought to be imposed was not mentioned in the notice. Consequently, the proceedings emanating therefrom were also contended to be invalid. It was further submitted that the impugned order is violate of Article 14, Article 19(l)(g) and Article 300-A of the Constitution of the India. Counsel for CCI submitted that the petitioners have not challenged the order dated 22.04.2014 of COMPAT and the relief of stay of direction of CCI to file undertakings to ’cease and desist’ from anti-competitive conduct was rejected. That the show cause notice was issued to the petitioners for not complying with the directions of CCI and the penalty was imposed by CCI in view of the admissions made by the petitioners. Counsel for CCI referred to Regulation 36 of the Regulations 2009 and stressed that the levy of penalty for non-filing of the undertaking as directed was within the powers of CCI. That the pendency of appeal before COMPAT or the interim stay of penalty granted by COMPAT would not inhibit CCI from passing an order under Section 42 of the Act, particularly as COMPAT had declined to stay CCI’s direction to file an undertaking to cease and desist from anti-competitive conduct. CCI by its order dated 06.08.2013 had found that the petitioners had indulged in bid rigging/collusive bidding and had contravened the provisions of Section 3(1) read with Section 3(3)(a) and 3(3)(d) of the Act. Further, CCI also held that the petitioners had controlled/limited the supply of the product in question and shared the market of the product under an agreement/arrangement and thus, acted in contravention of the provisions of Section 3(1) read with Section 3(3)(b), (c) &. (d) of the Act. Therefore, CCI imposed a penalty at the rate of 5% of the average annual turnover of the delinquent entities for the preceding three years. In addition, the entities including the petitioners were directed “to cease and desist from indulging in such anti-competitive conduct in future”. CCI also directed the parties to file an undertaking by way of compliance. The findings of CCI with respect to anti-competitive conduct of the petitioners, the imposition of penalty and the direction to cease and desist from anti-competitive conduct as ordered by CCI in its order of 06.08.2013 under Section 27 of the Act, are not subject matter of dispute in the present petition; an appeal has been preferred by the petitioners against the said order before COMPAT. However, the directions issued by CCI to cease and desist from anti-competitive conduct and for filing an undertaking to the said effect are relevant for the present proceedings. The petitioners had sought interim relief from COMPAT and although the imposition of penalty was stayed in the case of RSI, other entities including Rajkumar Dyeing were directed to deposit 5% of the penalty imposed by CCI. However, COMPAT did not stay the ‘cease and desist’ order of CCI. COMPAT had stayed the deposit of 95% of the penalty in all cases and granted a complete stay in the case of RSI for the reason that all entities were small scale industries and small scale industries required encouragement to grow. COMPAT also noted the submission that the appellants were facing hardships on account of blacklisting pursuant to the orders passed by CCI. In the case of RSI, COMPAT also noted that the manufacturer had not made any supplies under the Rate Contract and had further lost its registration with DGS&D. The directions passed by CCI in its order of 06.08.2013, imposing penalty and directing the opposite parties (i.e. all bidders including the petitioners) to cease and desist from indulging in anticompetitive conduct in future, are clearly covered within the provisions of Section 27 of the Act; the direction to file an undertaking to cease and desist from anti-competitive conduct, was only to aid and ensure compliance of the ‘cease and desist’ direction as contained in paragraph 48 of the said order. It is, thus, apparent that, in substance, the order passed under Section 27 of the Act by CCI was one of imposing penalty and directing the parties to cease and desist from anti-competitive conduct in future. In this perspective, the direction to file an undertaking was not a part of the substantive measures taken by CCI. It was necessary for CCI to bear this aspect in mind while considering imposition of penalty under Section 42 of the Act. In the present case, there is no allegation that the petitioners had indulged in any anti-competitive conduct or had failed to comply with the directions to cease and desist from anti-competitive conduct as directed by CCI. In the case of R.S. Industries, the petitioner (RSI) had lost its registration with DGS&D on 21.12.2011. Thus even prior to the information being filed with CCI and CCI recording its prima facie opinion, the petitioner had ceased to be a DGS&D Rate Contractor. Consequently, the petitioner had neither participated in the Rate Contract nor was capable of doing so. In the circumstances, the question of the petitioner entering into any arrangement or bid rigging or indulging in anticompetitive conduct proscribed by CCI, did not arise. In W.P. (C) 5947/2014, the petitioner – Rajkumar Dyeing was blacklisted and debarred from participating in Rate Contract by the DGS&D after CCI’s order of 06.08.2013 and so were other bidders. The Court observed that in the given circumstances, it is amply clear there was neither any allegation that the petitioners had failed to comply with the ‘cease and desist’ order nor in fact the petitioners could have indulged in an anti-competitive conduct after CCI’s order of 06.08.2013. Thus, in the present case, CCI has imposed penalty even though CCI’s ‘cease and desist’ order was not violated and had been fully complied with. Essentially, the petitioners have been faulted for not filing an undertaking, which direction – as stated earlier – was only in aid of the substantive ‘cease and desist’ order. The counsel appearing for CCI argued that CCI had acted fully within its jurisdiction in directing an undertaking to be filed in exercise of its powers under Regulation 36 of the Regulations 2009. It was contended on behalf of CCI that COMPAT had rejected the interim prayer for stay of the direction for filing an undertaking to cease and desist from anti-competitive conduct directed by CCI. However, this is not entirely accurate. COMPAT had not found the necessity to interfere with CCI’s direction to ‘cease and desist’ and had declined to stay the same; the question of filing the undertaking was not commented upon by COMPAT as the same was merely in aid to ensure compliance to the ‘cease and desist’ order; COMPAT did not in any manner either enhance or dilute the substantive direction to cease and desist from anti-competitive conduct as issued by CCI. 17. So far as the doctrine of proportionality is concerned, there is no gainsaying that the said doctrine has not only arrived in our legal system but has come to stay. 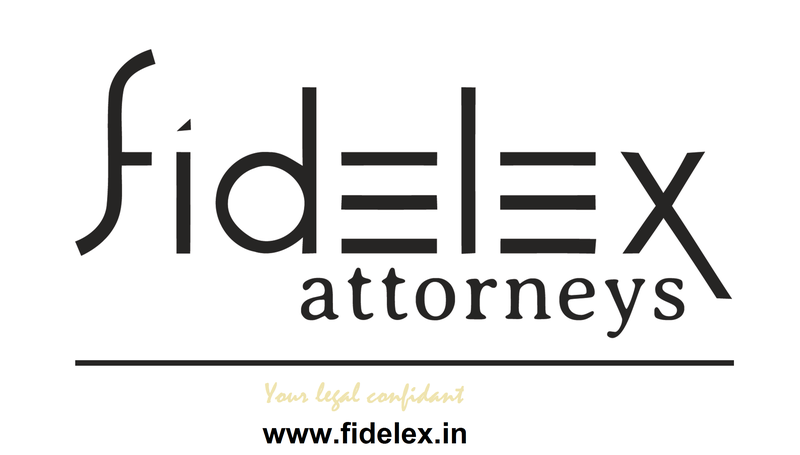 With the rapid growth of administrative law and the need and necessity to control possible abuse of discretionary powers by various administrative authorities, certain principles have been evolved by courts. If an action taken by any authority is contrary to law, improper, irrational or otherwise unreasonable, a court of law can interfere with such action by exercising power of judicial review. One of such modes of exercising power, known to law is the “doctrine of proportionality”. 18. “Proportionality” is a principle where the court is concerned with the process, method or manner in which the decision-maker has ordered his priorities, reached a conclusion or arrived at a decision. The very essence of decision-making consists in the attribution of relative importance to the factors and considerations in the case. The doctrine of proportionality thus, steps in focus true nature of exercise—the elaboration of a rule of permissible priorities. The Cout applying the aforesaid principles to the facts of the present case, held that it was clear that CCI has imposed a punitive measure which has little co-relation with the gravity of the offending acts. The Court further held that, the impugned order even fails the Wednesbury test of unreasonableness, which was explained by Lord Diplok in Council of Civil Service Unions v. Minister for Civil Service: (1984) 3 All ER 935 as “So outrageous in its defiance of logic or accepted moral standards that no sensible person who had applied his mind to the question to be decided could have arrived at it”. The Court observed that the counsel for CCI sought to draw the attention of this court to various provisions of the Act and contended that CCI has wide discretion and extensive powers. Undoubtedly so. But, greater the powers, larger the responsibility on the authority vested with it to exercise the same judicially and in public interest. The question involved in the present case is not one of width of CCI’s power but the exercise of it. The Court observed that it was well settled that discretion with the public authority must be applied after taking into account relevant considerations. In the present case, CCI failed to apply its mind to most of the relevant considerations. First of all, CCI has not taken into account that its substantive direction to cease and desist from anti-competitive conduct had not been violated. Secondly, CCI has not considered any element of public interest, warranting an imposition of such penalty. Undisputedly, in absence of violation of the cease and desist order, the failure on the part of the petitioners to file an undertaking did not have any adverse effect on public interest. CCI seemed to have completely ignored this aspect. It is also clear that the petitioners did not benefit from non-filing of the undertaking and there was no reason why the petitioners’ contention that there failure to file undertaking was intentional, should not have been accepted. I find it also strange that CCI did not consider fit to be guided by the order dated 22.02.2014 passed by COMPAT which had considered the mitigating circumstances and stayed the deposit of penalty to the extent of 5% in case of Rajkumar Dyeing and entirety in the case of RSI. COMPAT had stayed the penalty on account of the petitioners being small scale industries. This consideration was completely ignored by CCI. Not only CCI has overlooked the reasons of COMPAT for staying the penalty imposed by CCI, it has also sought to justify the levy of penalty by misquoting the operative part of COMPAT’s order of 22.04.2014. In view of the aforesaid, the impugned order is, clearly, without application of mind and has been passed in wanton exercise of powers, ignoring the relevant factors and the constitutional principles. Accordingly, the petitions are allowed and the impugned order is set aside. This entry was posted in Competition Law. Bookmark the permalink.